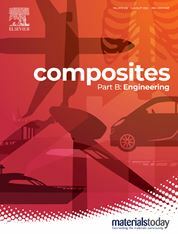 The aim of Composites Part B: Engineering is to provide a balance between mechanics and materials science aspects, basic and applied research, and high technology and high volume (low cost) composite development. The Journal aims to provide a forum for the prompt publication of original research on all areas of composites and nano-engineered materials, with emphasis being placed on evaluation and modelling of engineering details and concepts. Basic research papers are welcomed as well as proposals for review articles. Authors are encouraged to discuss the issues relative to application in the short or long-term in various areas, such as aerospace, automotive and other surface transportation, infrastructure, ship-building, off-shore piping, and recreational products. Current topics of interest to readers include durability, functionally gradient materials, interfaces, interlaminar fracture, joints and adhesion, smart composites, textile composites, thermoplastics, wave propagation, and non-destructive testing.